Please note that we have refreshed this kit for 2019. All components now leverage our 433 Mhz frequency making it compatible with our EconomyCare+ units. We recommend only buying the old model if you already have the old models in your facilities. Expandable - Do you have multiple stalls in your restroom? Need more pull-strings? No problem! You can use multiple pull cords per light, and even have multiple lights go off when the cord(s) are pulled. 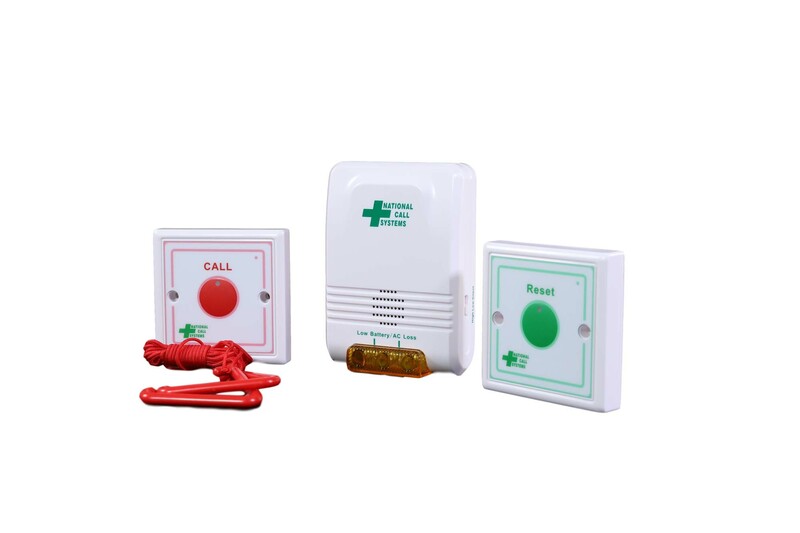 Audible & Visual Alarm - Light flashes when pull-cord is pulled, as well as sounds an adjustable alarm sound, so you're sure to always know when there is an emergency. For easy installation, patient safety and simple to use, you can't beat this product. I just bought my second one.